1. 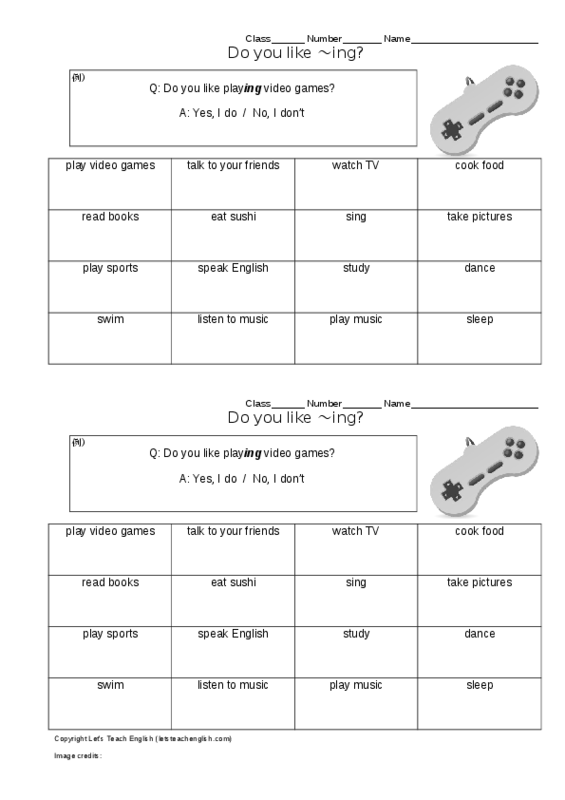 Give each student a copy of the worksheet (cut in half). "Do you like ~ing?" "Yes, I do. No, I don't"
3. If the other student answers yes, the first student writes the second student's name in that block on the worksheet. 4. If a student gets four in a row, he gets a point. May want to read the contents of the bingo grid with the class once to make sure they understand it. Also, caution them that they need to add "ing" to the words in the squares.